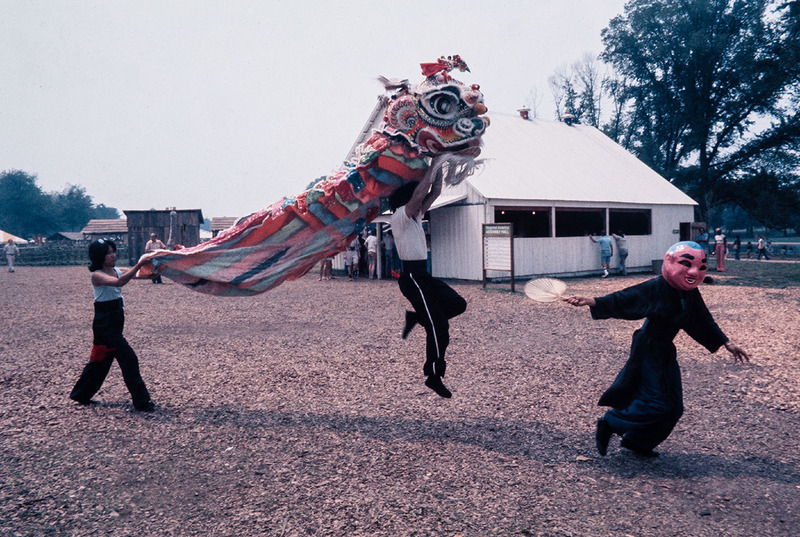 1976 Festival of American Folklife, Old Ways in the New World program (FAF1976_0149). Photo by Debbie Chavis. 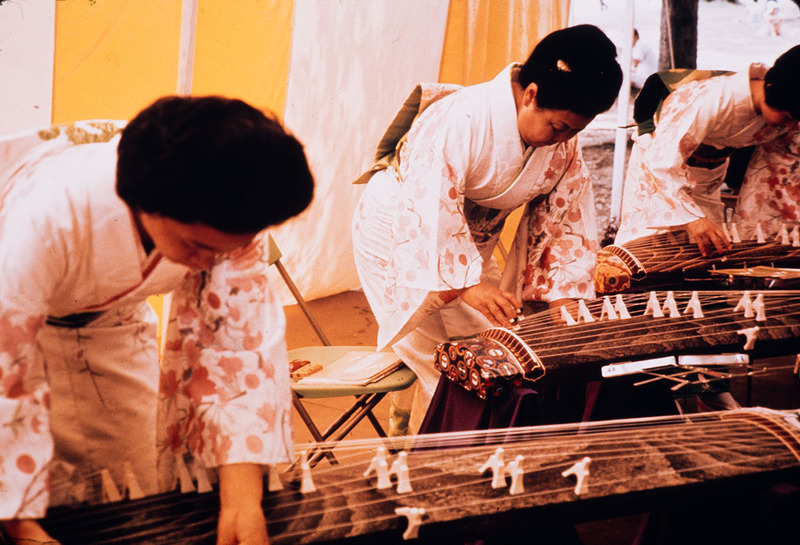 Courtesy of the Ralph Rinzler Folklife Archives and Collections, Smithsonian Institution. 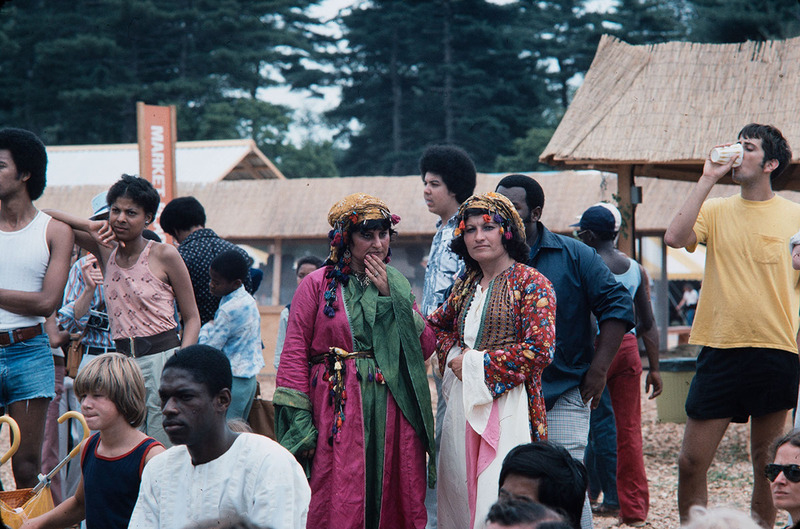 1976 Festival of American Folklife, Old Ways in the New World program (FAF1976_0784). 1976 Festival of American Folklife, Old Ways in the New World program (FAF1976_0887). 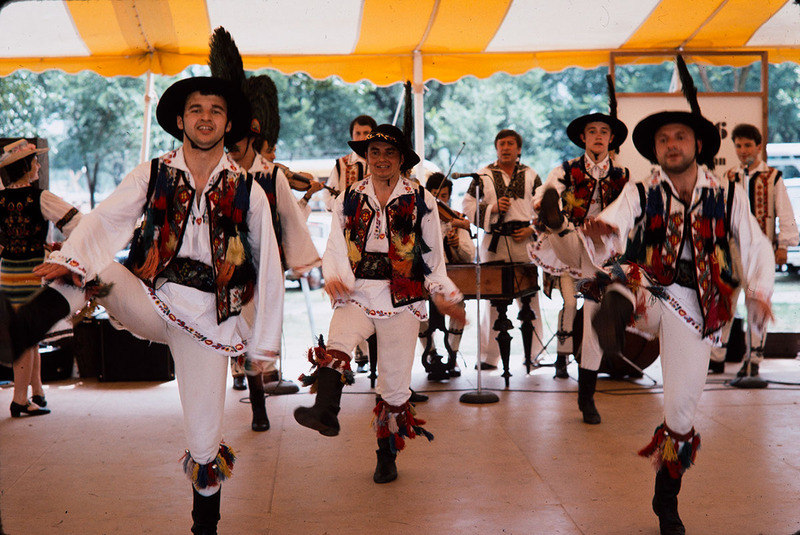 1976 Festival of American Folklife, Old Ways in the New World program (FAF1976_0938). 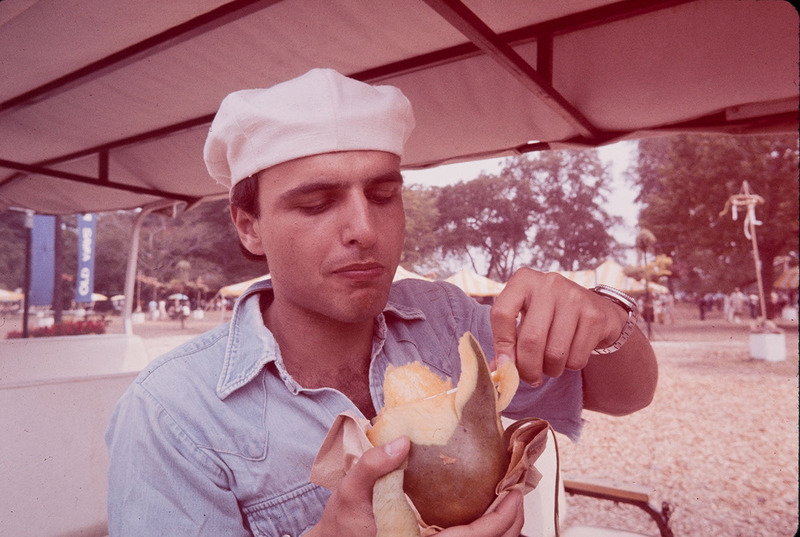 1976 Festival of American Folklife, Old Ways in the New World program (FAF1976_0947). 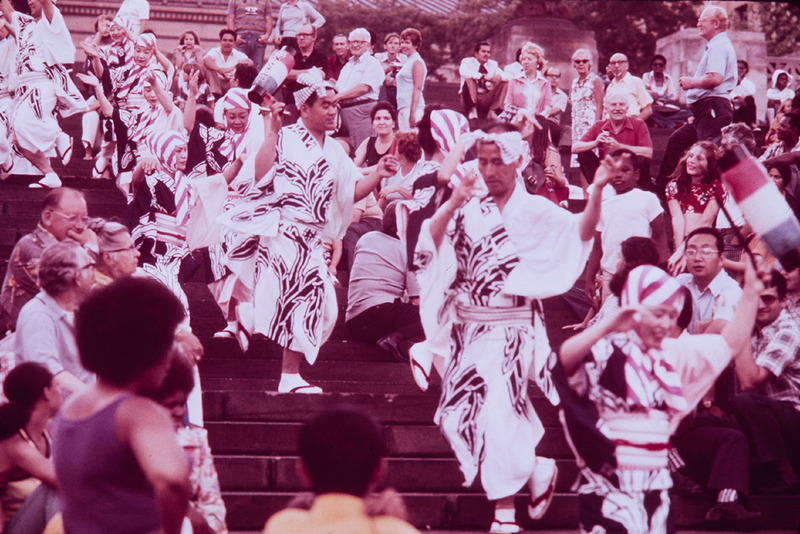 1976 Festival of American Folklife, Old Ways in the New World program (FAF1976_0955). The United States has always been a country of immigrants and, thus, the proud inheritor of the artistic styles of many different peoples. The section of the Festival that focused on this particular feature of American culture was called "Old Ways in the New World". Here were brought together the sons and daughters of people who immigrated to the United States from various parts of the world and their cultural cousins who stayed at home. These two groups joined together at the Festival in the practice of their traditional artistic and creative behavior; thus they could celebrate a kind of family reunion while they examined together the changes that their different experiences had brought about. Where possible, participants were invited from the same region or even the same village - both those who migrated and those who stayed at home. Where this was impossible or impractical, attention focused on behavior or style, tracing parallels in all aspects of tradition from cooking to dance. As in past years of the Festival, this program stimulated a healthy kind of self-examination for domestic communities that drew strength from discovering their relationship with older cultures as well as for the foreign guests, who could return to their homelands proud of the vitality of their own art forms that remained clearly identifiable, although removed by oceans of time and space. Program Coordinator for the Old Ways in the New World was Shirley Cherkasky, with Assistant Program Coordinators Suzanne Cox, Jeffrey LaRiche, Genie Kitlaus, and Larisa Lucaci. An advisory group included Conrad Arensberg, Svatava Pirkova Jakobson, Alan Lomax, and David McAliester.